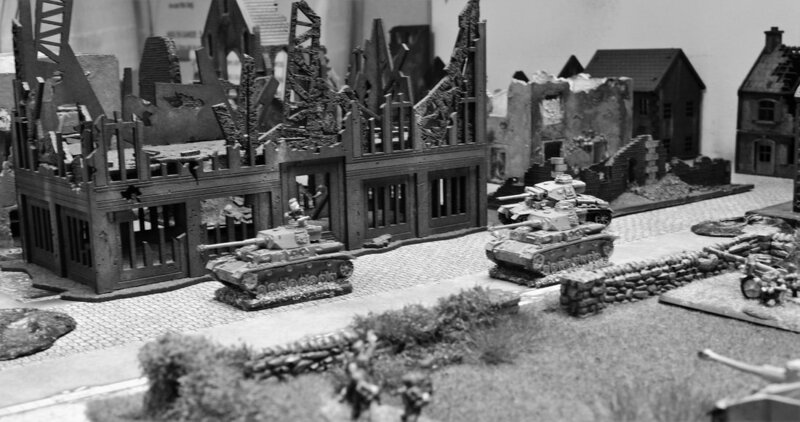 As a distraction from model railways, thought I'd have a go at a wargame table. 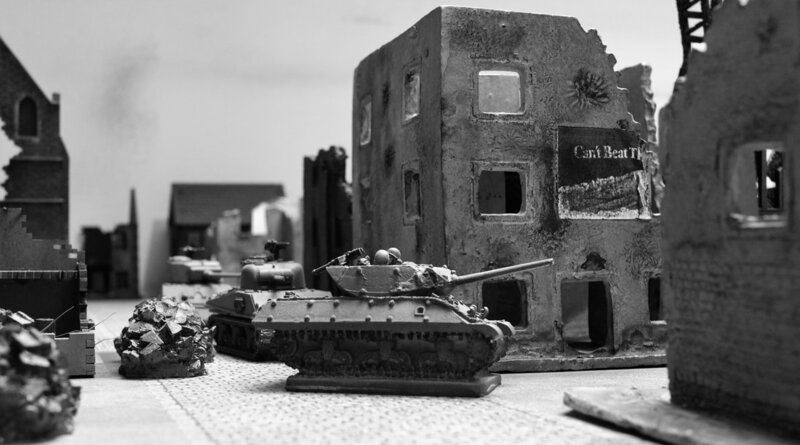 The board, 3x2, is built specifically for Gale Force Nine's 15mm Tank Skirmish game. Apart from the destroyed buildings, 3mm MDF kits, everything has been constructed from items courtesy the model railway spares box; economic ! Tanks below are a combination of Forged In Battle and GF9 items. 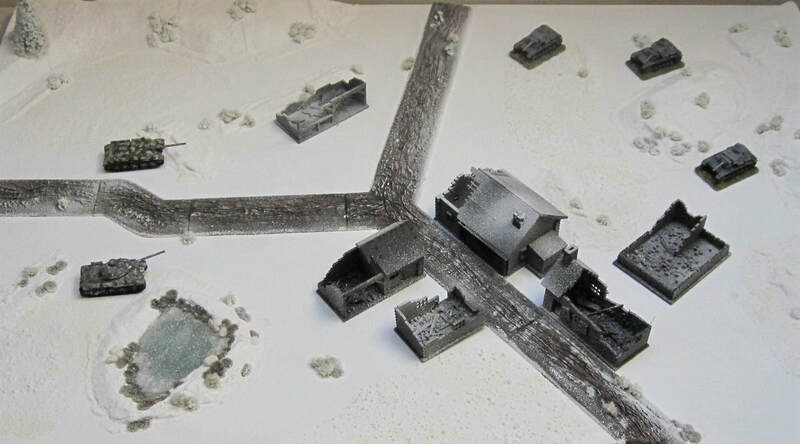 Gale Force Nine wargames table measuring just 3' x 2' with Russian & German tanks in evidence. Captured T34 attached to German battalion. 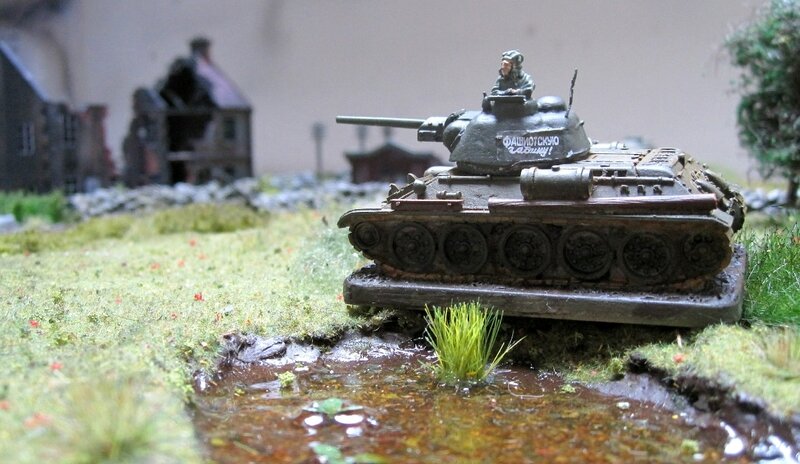 T34 approaches ruined hamlet via the small pond. 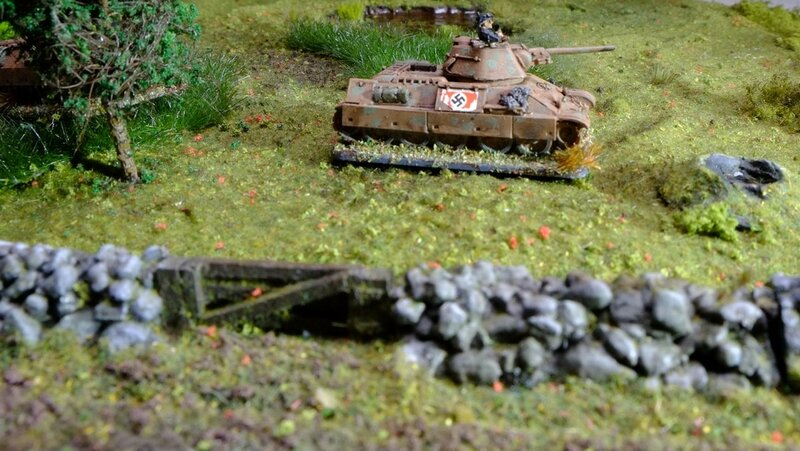 A Panzer 111, not much of a match against the Soviet T34s, attempts to gain cover. GF9 winter table, Russian Steppes. "Snow" courtesy Christmas spray can ! 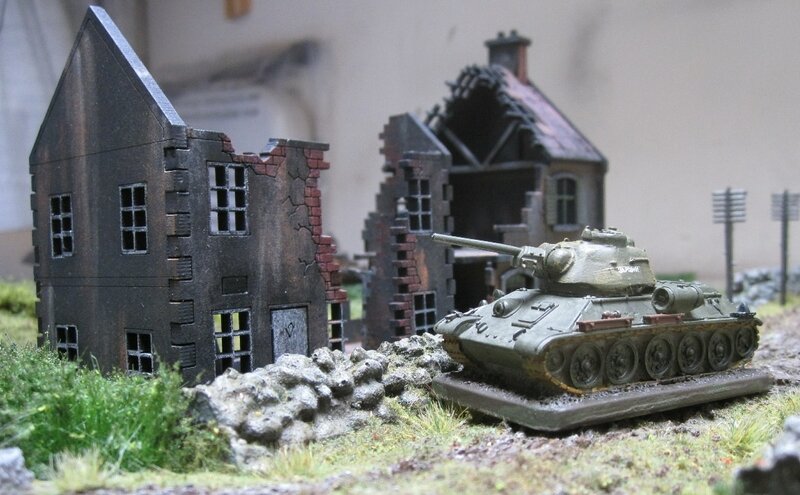 Panzer 111s pass a ruined Russian hamlet. 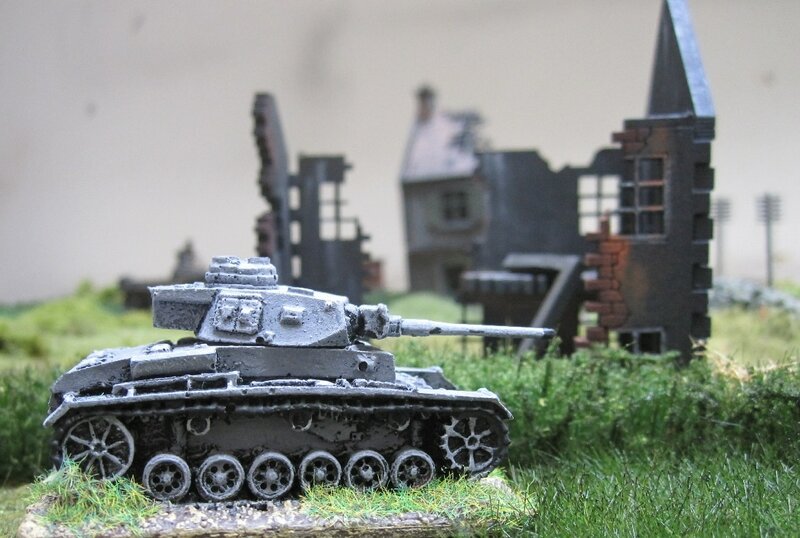 A Russian T34 shadows the German Panzers. GF9 Panzer 111s pass burnt out factory.